No lineup, no problem. Advance passes for Coachella 2018 will go on sale this Friday at 11 a.m., and you can expect them to sell out within hours, even if the performers have yet to be announced. 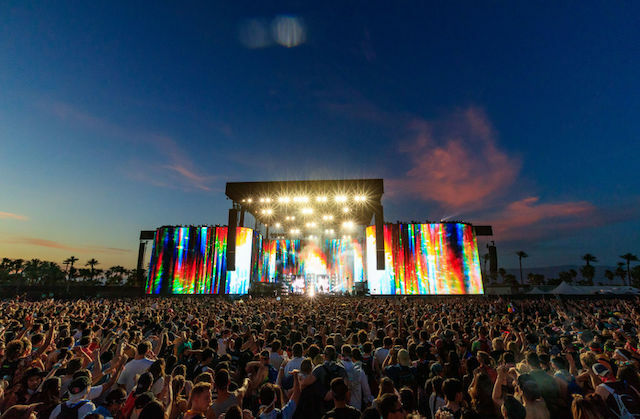 Once again, the festival will take place at the Empire Polo Grounds in Indio. It will happen over the course of two weekends: from April 13 to April 15, and from April 20 to 22. Advance sales will be the only time when you can use Coachella&apos;s payment plan to pay for your passes. As noted at Consequence of Sound, there&apos;s a price hike this year: general admission passes go for $429, while VIP passes go for $999, a bump from 2017&apos;s $399 and $899, respectively. According to the Desert Sun, if you miss out on the advance passes you&apos;ll have to wait until the fall when tickets are available again for the official sale. We mentioned that the lineup&apos;s not out yet, but that&apos;s only partly true, as Beyoncé had announced her intentions of headlining Coachella 2018. What happened was that Queen Bey was slated to perform in 2017, but had to drop out due to doctors&apos; orders (she&apos;s pregnant), and was replaced by Lady Gaga. She later promised to return to Coachella in 2018, and promoters have confirmed her upcoming appearance, according to The Desert Sun. So, barring any weird surprises, you can count on one-third of Destiny&apos;s Child to headline the bill in 2018. Any bets on the surprise reunion band this year? Could it possibly be Led Zeppelin? Who were rumored to play the (now defunct) Desert Trip? Maybe Talking Heads? Pavement? The Banana Splits? Advance passes will be available on the Coachella website starting at 11 a.m. on Friday. Check the website for more info on lodging and parking.